If a bear is awake, it is hungry; any rubbish bin, landfill site, farm or even a car could provide a meal. But in an increasingly urbanised landscape, bears and other wildlife eat more "human food", which is shifting their behaviour and biology. A study in the journal Scientific Reports found that bears with a diet rich in human food hibernated as much as 50 days less in the winter. That had "hidden effects", beyond the basic need for more winter rest. Those more active bears showed signs that their cells aged more quickly than those with more natural eating habits. Researchers discovered changes in their DNA; namely, a signature loss of the caps (called telomeres) on the ends of their chromosomes. These caps naturally shorten as animals age. Palm oil: Are your beauty products killing orangutans? It is one of the subtle but important biological changes associated with the fact that domestic livestock, food waste and even our pets are becoming integral parts of the diets of some species. The bear study - carried out in Colorado - follows another from some of the same researchers, revealing how cougars in North America have shifted from their natural prey to opportunistically hunting livestock and even eating dogs and cats. As well as bringing them into conflict with people, this puts the predators' bodies into new biological territory. As the scientists pointed out in their paper, when they feed on pets, cougars may be eating animals that harbour "shared pathogens". Diseases that can infect a domestic cat might also have the ability to infect a cougar, since the animals are closely related. It is all evidence, according to University of Wisconsin-Madison scientist Dr Jonathan Pauli, of "a new reality for some ecosystems", as they are being re-engineered by humans, and by what we grow, raise and throw away. "Looking at landscapes increasingly affected by human presence, we see winners and losers in terms of what species are capable of exploiting those resources," Dr Pauli told BBC News. When PhD student Rebecca Kirby - also from the University of Wisconsin-Madison - first embarked on the black bear study, it was to understand how important this food was to the bears. Analysing blood and hair samples from the animals, she discovered that it made up as much as 30% of their diet. 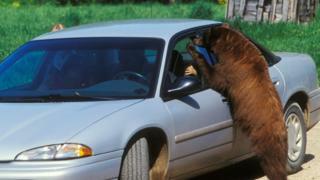 Further study of hair and blood samples from the bears showed a signal of that diet was showing up in their cells. Not only did the bears with more human food in their diet hibernate less, they also had shorter telomeres - essentially their cells were ageing more quickly. "It's a further demonstration of the effects the ubiquitous availability of human foods can have on wildlife," said Ms Kirby. Much of our waste food ends up in landfill - making piles of edibles accessible for whatever wildlife ventures into the fringes of urban landscapes. 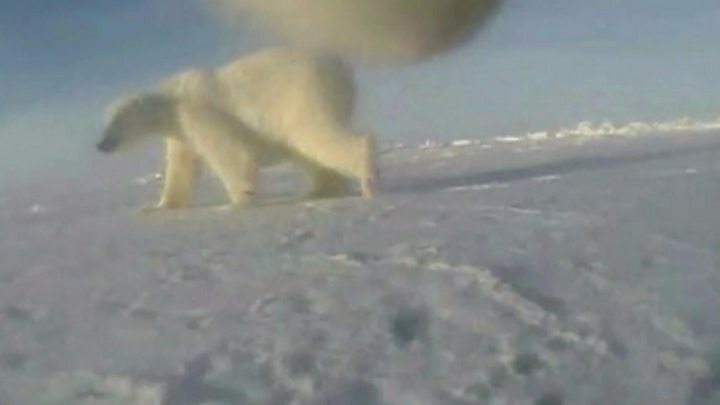 One remote Russian region recently declared a state of emergency, as dozens of Polar bears moved in looking for food. A combination of thinning sea ice and pungent, accessible food waste proved irresistible for the bears. A recent study tracked the endangered Egyptian vulture in the Iberian Peninsula and showed that the birds preferentially nested in areas close to landfills sites. Nestlings fed on food gathered from waste dumps are also "better nourished" and experience "fewer food shortages" than those that do not. But while these birds are indiscriminate, opportunistic feeders, our piles of waste do not seem to have all the nutrients the birds have evolved to need. Nestlings fed on food gathered at these domestic waste dumps had lower levels of vitamins and organic compounds that are important in the function of their immune systems. PhD student Helena Tauler Ametller from the University of Barcelona's conservation biology group explained the landfill sites were a double-edged nutritional sword for the species. "They're attractor points for individuals, [so they are probably] modifying their activity and possibly decreasing their exposure to threats such as poisoning. "On the other hand, landfills could be a source of threats, such as toxic substances that could affect individuals' survival. And, in addition, we're making these birds more dependent on a resource that could be removed in the future [to comply with environmental law]." Dr Pauli added: "We're starting to see these hidden effects. But we're still trying to understand just how these environments - that now feature all these human food subsidies - are rearranging these communities [of wildlife]."